You all know the famous wolf from the fairy tales that scares everyone, eats sheep and grandmas, and chases little pigs out of their homes. But do you REALLY know him? What if he wasn’t like that at all? 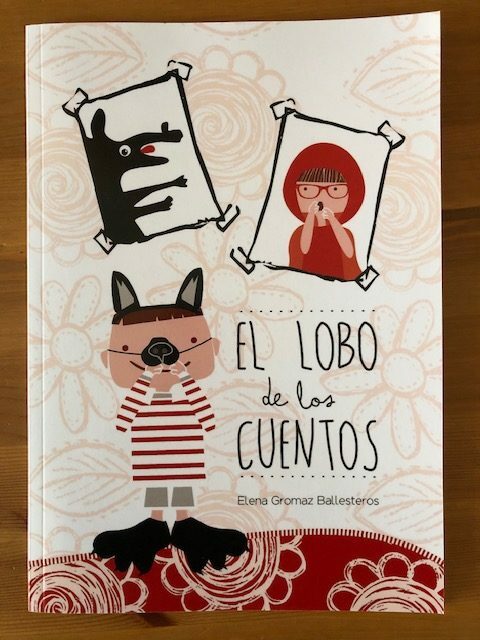 This book is all about that wolf but reveals another truth – that el lobo de los cuentos doesn’t actually enjoy being bad. What happens when he decides to do exactly the opposite of what is expected from him? He says hello to Caperucita Roja, he gets chased by the cerditos and instead of scaring the cabritillos, he swaps recipes with their Mum. In the context of this change of character, el lobo discusses emotions and feelings with his fellow characters and discovers empathy. 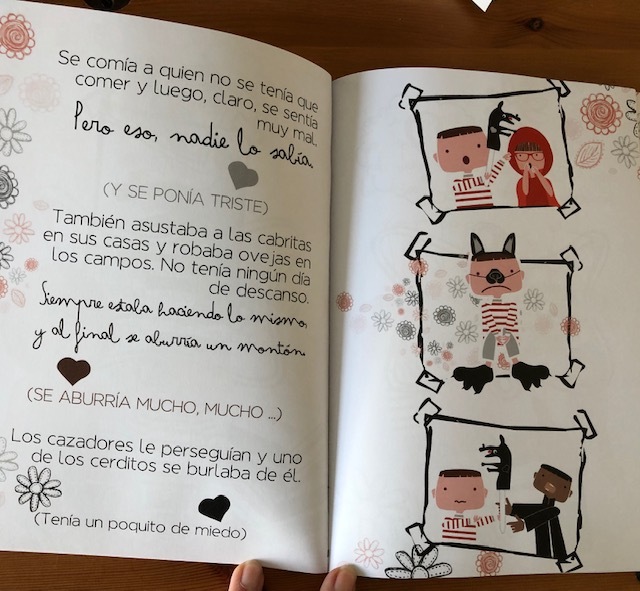 The book finishes with some activities to help children discover and explore their emotions with some cut outs to use just like el lobo does in the story. It’s a short story and I think it’s great as it shows a different side to the traditional stories – why should the wolf always be the baddie?- but also has important messages about our feelings and emotions. Most importantly I think it explores how we can get stuck in a pattern of behaviour that we don’t like, and that it is possible to break the cycle. I think the pictures in the book help this message get across to children as the characters are all depicted as small children in masks playing the parts. 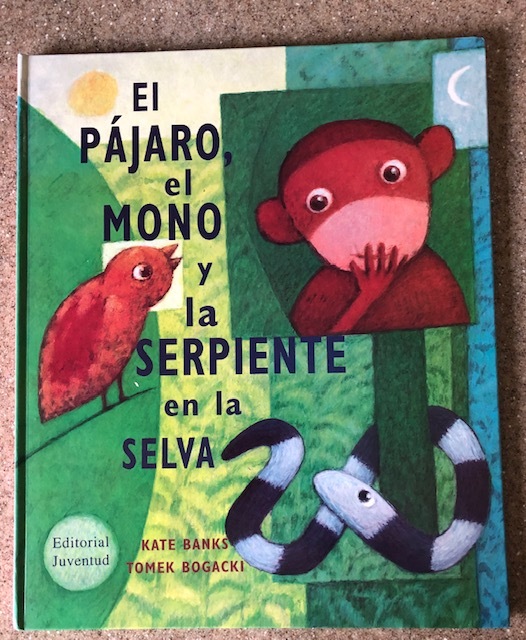 This is the third in a series of three posts about Julia Donaldson books that I have recently purchased in Spanish. 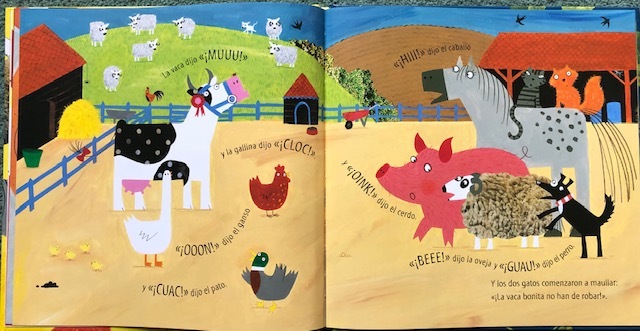 Lo que Escuchó la Mariquita is the Spanish version of What the Ladybird heard and is a ‘farmyard thriller; a crime set on a farm‘ according to Julia Donaldson, the author. In it, two robbers, Hugo el Zurdo and Len el Largo plot to steal the prize cow from under the farmer’s nose. But they hadn’t reckoned on the very tiny, very quiet ladybird. One night the ladybird hears the thieves plotting and relays the story to the animals who all make a loud hullabaloo – and then they hear the plan which make use of all their noisiness! Will they outsmart Hugo el Zurdo and Len el Largo? I’ll leave you to find out! It’s a great story and I love the rhyme and rhythm of the text. How would I use this story? 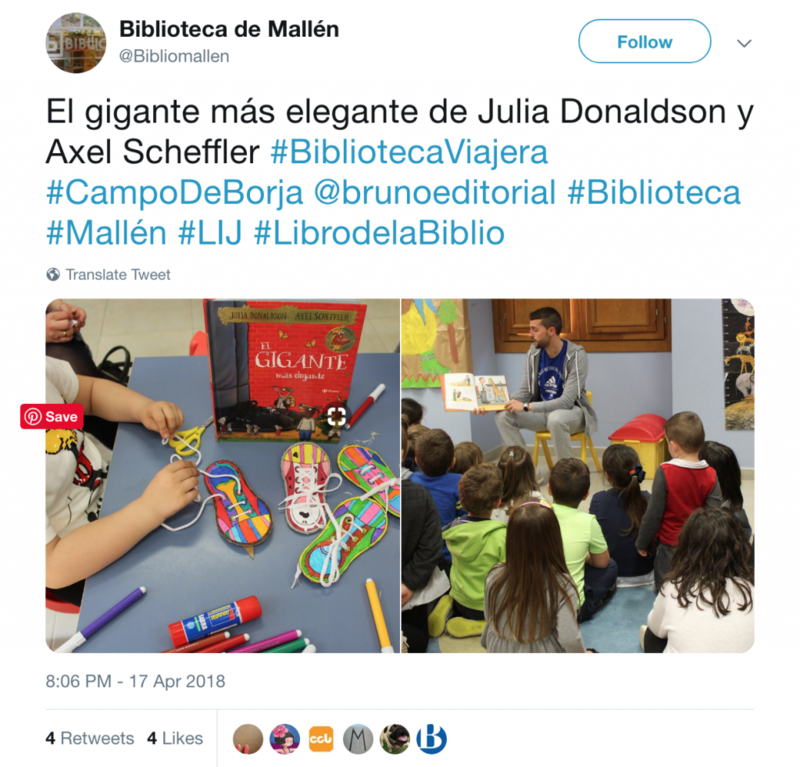 I’d probably read it much the way that Julia Donaldson does in the video below – but in Spanish! 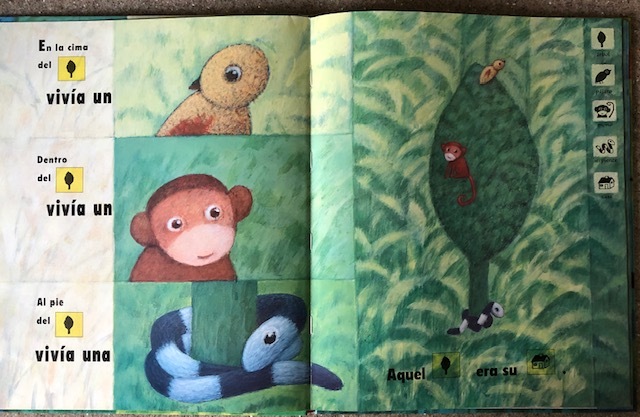 The story is a wonderful opportunity to work on animal vocabulary as well as the always popular topic of animal sounds. 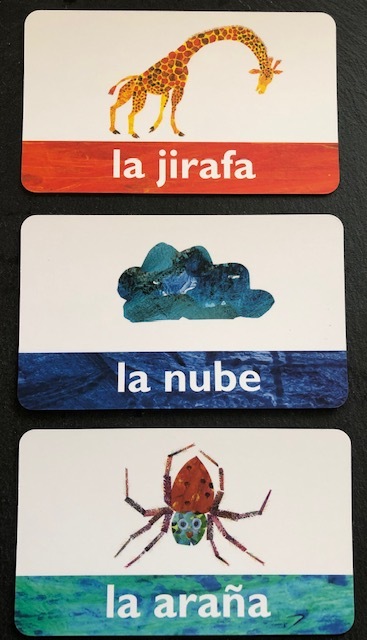 It always amuses children that animals ‘speak Spanish’ too and make slightly – or sometimes very – different noises in Spanish. You could even sort the sounds into groups according to how similar they are. 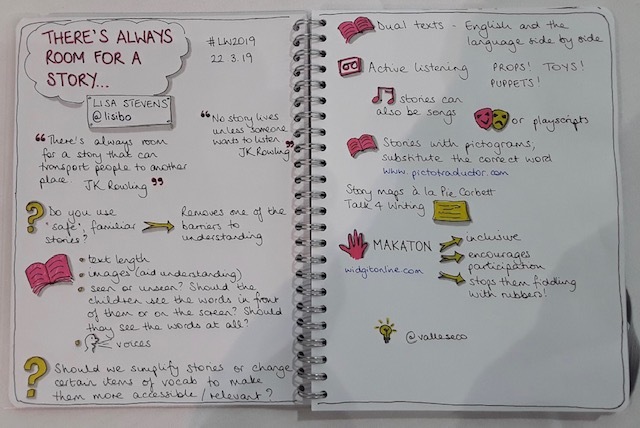 You could use puppets or masks to involve individuals in retelling the story or even a set of fingerpuppets or finger scribbles for each child to join in physically, or even use actions (my latest obsession with Makaton would come in handy here!) Nonetheless with little preparation of that kind, it’s easy to encourage learners to join in with some noises and sound effects! Here’s Julia Donaldson reading her story in English with some ideas for how you could use the book with audience participation, using puppets, animal noise prompts and action! And this version has an ‘on screen’ narrator! La vaca es bonita y premiada. Es blanca y negra con manchas grises. Tiene un cabestro azul y un premio rojo. La vaca dice Muu. Alternatively you could ask comprehension questions with Sí/No Verdad/Mentira responses, or at a higher level, require a response in a phrase or sentence. There are lots of art ideas that go with this book – you can see one below. This video shows how one class responded to Lo que escuchó la mariquita at C.E.I.P. Miguel de Cervantes de Navalmanzano Segovia. Loe the idea of making ‘mariquitas’ out of footprints! Looking for ideas of how to use the book, I found lots of ideas for using the English version What the Ladybird heard. I’ve collected them together on a Pinterest board. 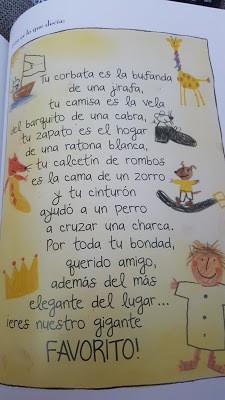 It included the video below of Julia Donaldson and her husband singing a song based on the story – anyone fancy writing a Spanish version? 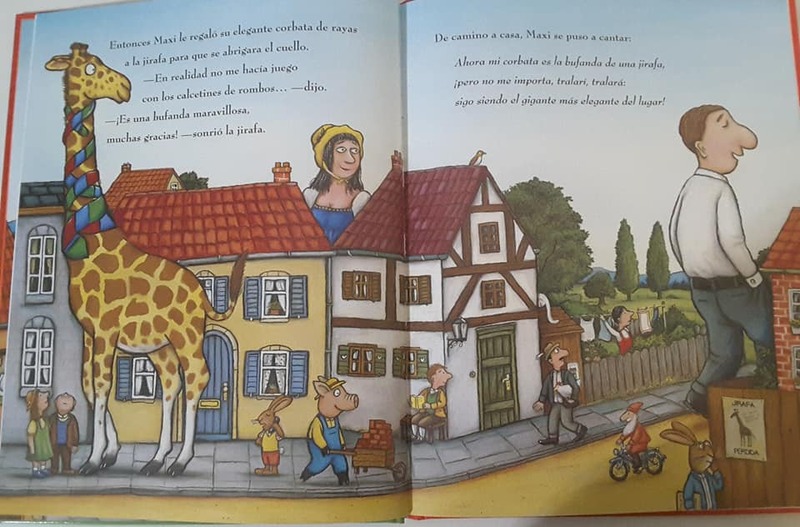 La Mariquita appears in two further books – Lo que Escuchó la Mariquita Despúes and Lo que Escuchó la Mariquita en Vacaciones. Do you have a favourite Julia Donaldson book? Do share in the comments if you do! 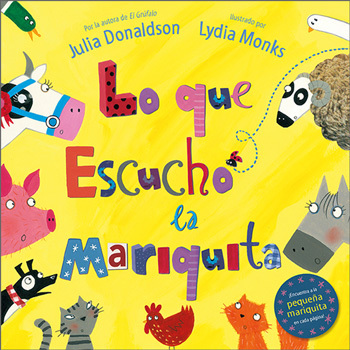 This is the second in a series of three posts about books by Julia Donaldson that I have recently purchased in Spanish. 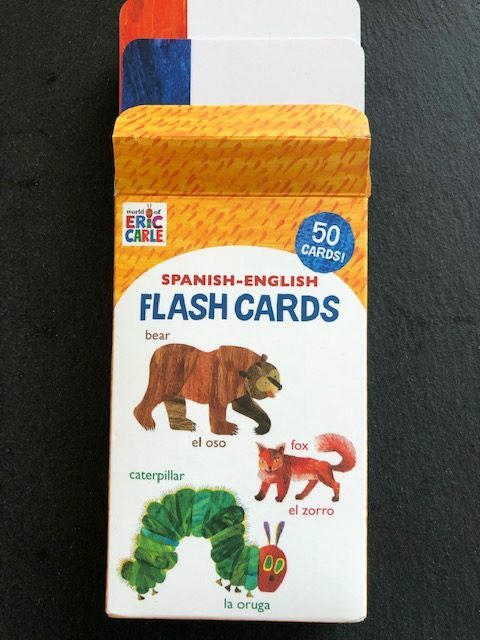 Las tres cartas del Oso is a very simple board book with flaps. It has two short sentences per page and colourful illustrations by Axel Scheffler. Oso writes three letters and sets out to deliver them. We follow him, counting the letters as we go and trying to guess to whom they are addressed by the home in which they live. Are we correct? Opening the flaps gives us the answer! But why has Oso written to Ardilla, Rana and Topo? All will be revealed as the book concludes with cake! I bought this book to read to FKS/KS1 as it is very simple and also short. It reinforces counting to 3 and also could be used to introduce the names of some animals. 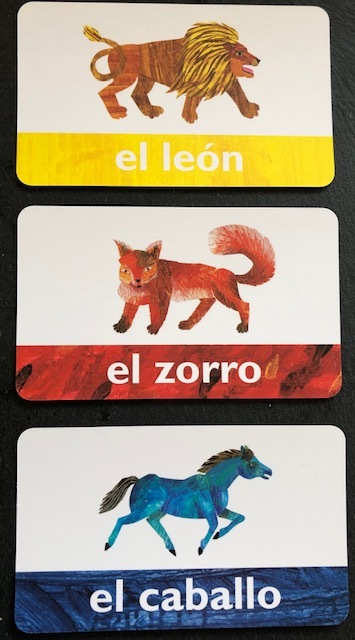 I’d introduce the animal words before the story, with images to support, and then display them so that children can choose from the ‘gallery’ which animal they think the letter should go to. We could act out delivering the letters too, and reading them. And, as the purpose of the letters is revealed to be Oso’s birthday, it would be a good opportunity to talk Spanish birthday songs and traditions. Here’s a Spanish birthday song – with cake ballet and dancing stars! If you want Happy birthday to you in Spanish, here is it with lyrics on screen! 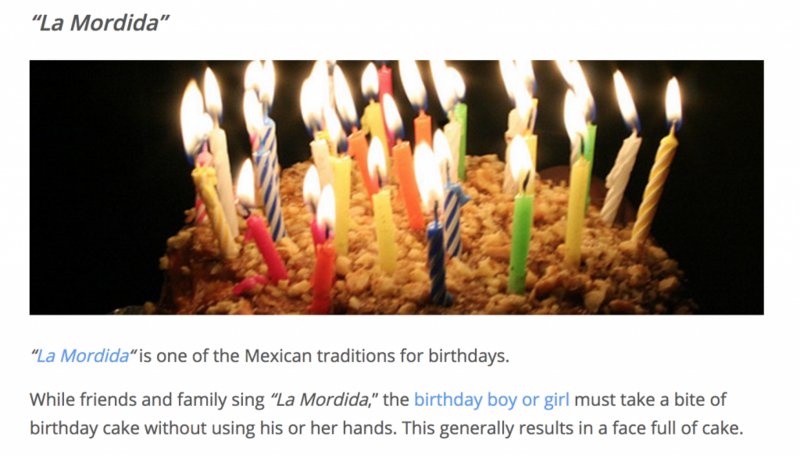 And speaking of Mexico – I learned Las Mañanitas from my Mexican friends on my birthday. A lovely song about the beauty of the morning! You can find the lyrics here . 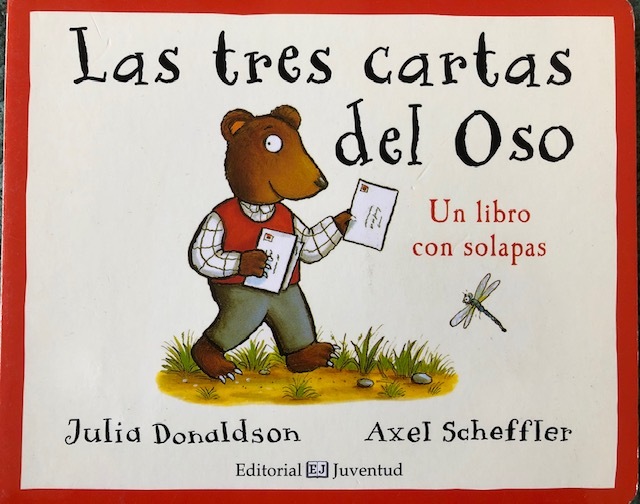 Tres cartas del Oso is one of a series of books set in El Bosque de la Bellota (Acorn Woods) that includes El Zorro se viste, ¡Quiero dormir la siesta! and Juguemos al escondite. When I saw this book on the Little Linguist stall in July (yes, I’ve had it that long without sharing it!) it immediately sparked ideas in my head so I had to buy it. And now I’ve got around to sharing them! 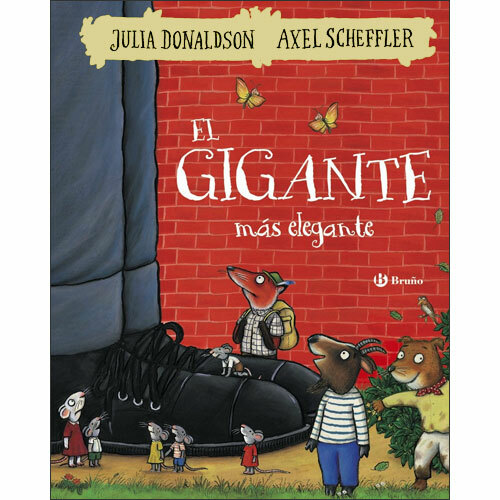 The Spanish version of The Smartest Giant in Town, it’s written and illustrated by the wonderful Julia Donaldson and Axel Scheffler, famous for The Gruffalo/El Grúfalo and Room on a broom/¡Cómo mola tu escoba! The main character is Maxi who always wears the same clothes and same sandals, and is fed up of being the scruffiest giant in town. When a new shop opens, he buys himself some lovely new clothes, becoming el gigante más elegante. Feeling happy and content, he leaves the shop to go home… but he keeps meeting animals who need help on the way home. Item by item he happily gives away his clothes, singing as he does it. Then he gives away his belt… and he’s no longer happy as he’s cold now. However, there is a happy ending as he finds his old clothes, and all the animals he has helped thank him with a crown and a lovely card. 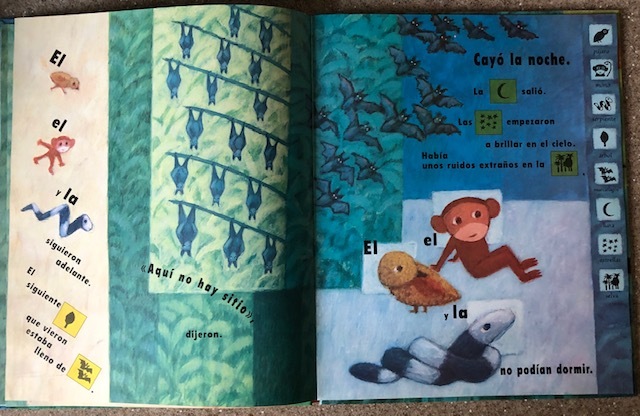 Reading the story reminded me of El Pequeño Petirrojo which is my favourite Christmas story, and one of my favourite books full stop as the robin in that gives away all his clothes too. It works really well for acting out with props; I’ve even got a knitted robin and vests with which to dress him! (See my blog post about it!) So I could see us doing something similar with this book. The video below shows how the story has been used as a class assembly – I think that would be easy to do in class too! And like El Pequeño Petirrojo, there’s a message to El Gigante más elegante. Both el gigante and el petirrojo happily give their clothes to others in greater need than them, end up sad, but are praised and rewarded for their selflessness. Therefore they are both a good way to link to the PSHE curriculum and be creative with the curriculum! Perhaps learners could write a simple thank you letter to el gigante, following a model/scaffold, and then write one to someone they’d like to thank. I liked this activity that I found on Twitter. Good exercise in manual dexterity! El gigante está muy contento feliz cuando da su …. al …..
La cabra está muy preocupado porque su barquito no tiene vela. I also thought it might be fun to think of other uses for the giant’s clothes by different animals. El mono necesita el cinturón para escapar el cocodrilo. Being even more adventurous, I think that this could be a good story to retell (in a simplified version) using Talk4Writing as it has repetition and would be fairly easy for learners to adapt. This blog also gives some further ideas of how you might use the story, both before and after reading. 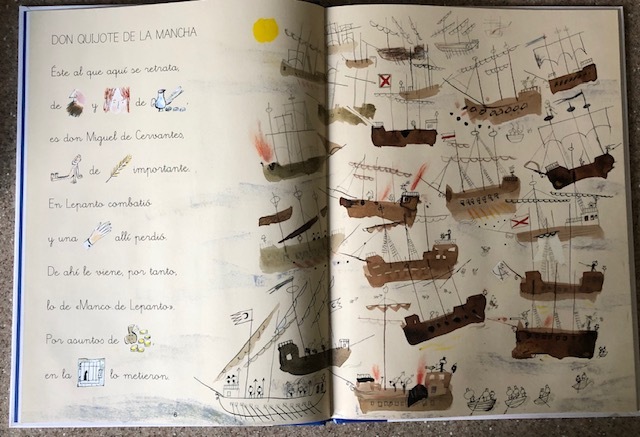 And I love the ideas suggested by Teaching Ideas – they’re for the English text but many of them, such as drawing and labelling a map of the tow, trying to sing the giant’s song, and making a scarf for him, are easily adaptable to another language. This video tells the story in Spanish with the English text on the screen. 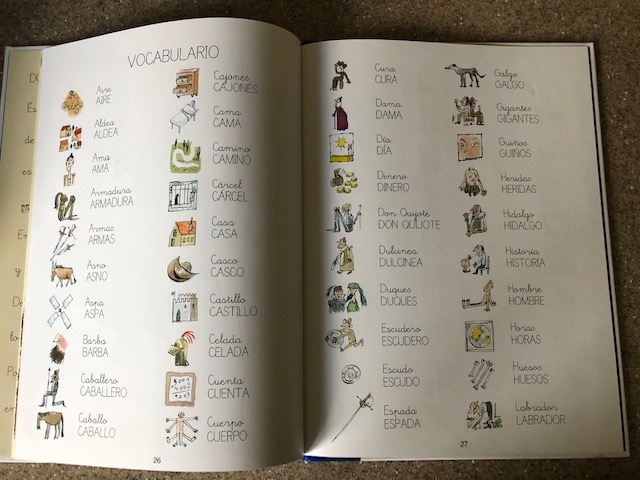 It’s not exactly the same as the Spanish translation but it could be used by those who are less confident in reading Spanish, and also as an activity in listening to Spanish. If you found this post interesting and/or helpful, please comment. And if you have ideas for using the book, please let me know too! ¿Quién trae los regalos de navidades en Europa? 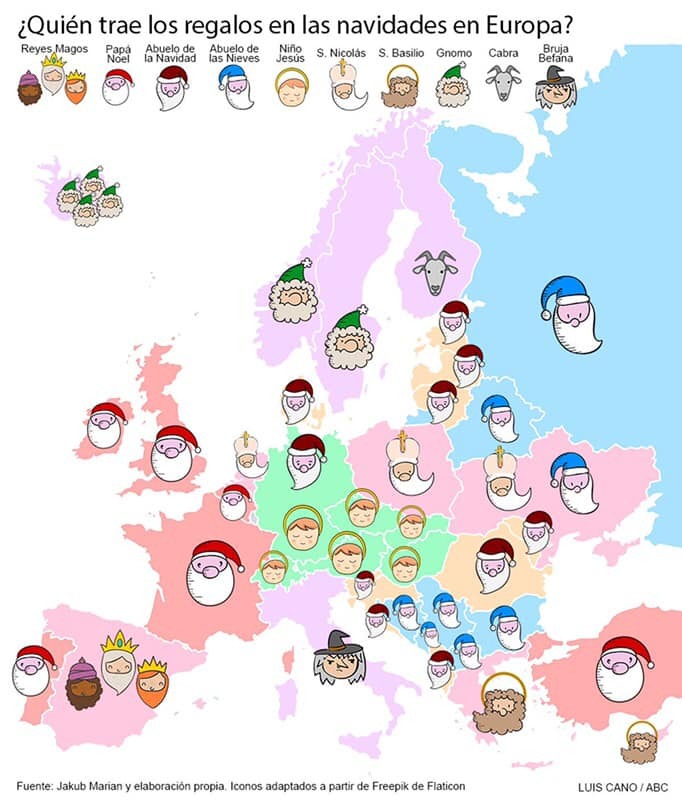 Thanks to José García Sánchez in the Secondary MFL Matters Facebook group for this lovely infographic/ map of European present givers. Whilst Christmas is past for most, Spain and those who follow the Orthodox calendar have another day or so before they receive their gifts on 6th January or Epiphany. I’ll certainly be thinking of activities to use this next year, perhaps preparing comprehension questions based around practising name of countries and / or nationalities but I’ll also be using it as soon as we go back to school as a way of eking out one last activity from the array of Christmas cards and greetings we received as part of our eTwinning projects. 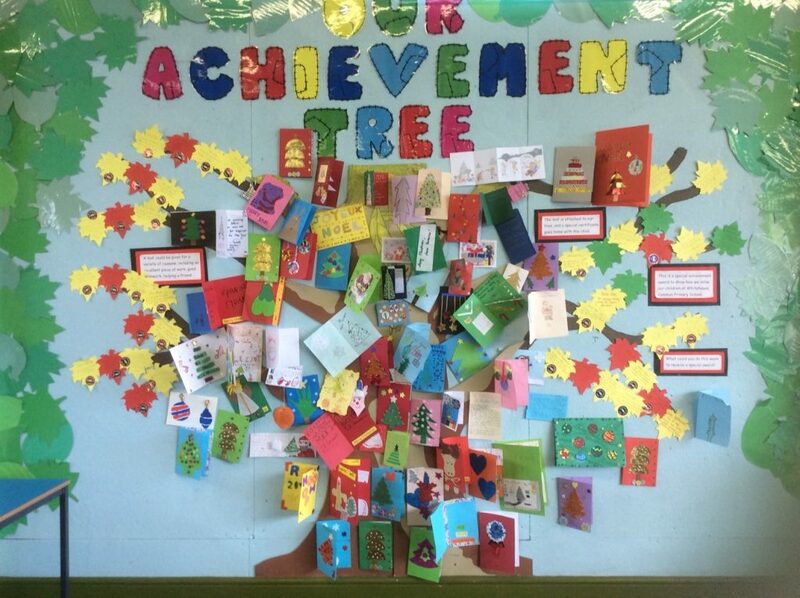 Below are some images of our cards, temporarily taking over the Achievement Tree! 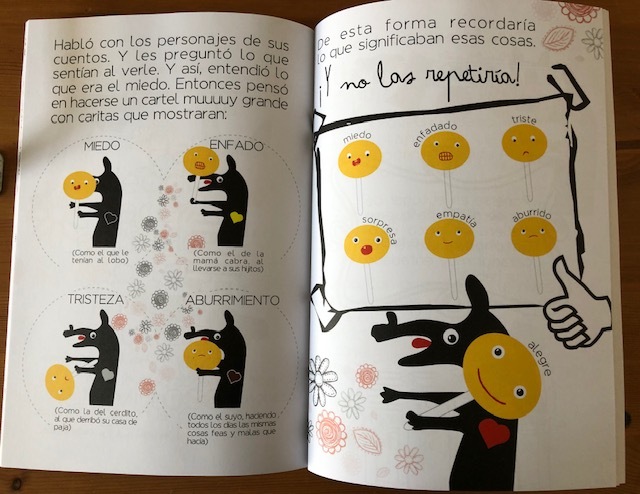 I’ve blogged about bsmall products in the past including the I can read series and their dual language books for older KS2 pupils, and I also helped them with some advice a couple of years ago, so I was really pleased to be contacted for my comments on this latest publication. I was sent the Hello French! materials to have a peek before they were released. 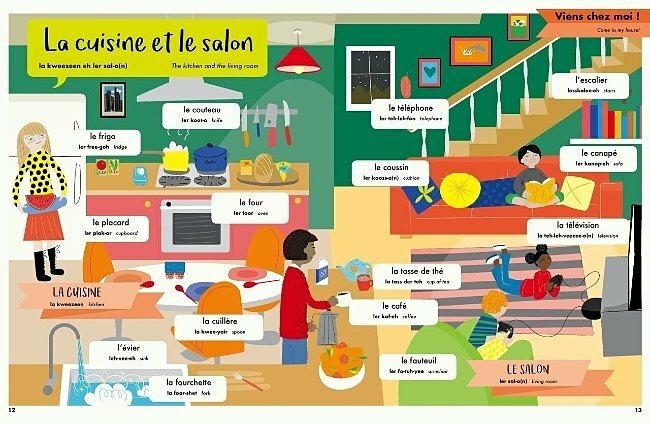 The Beginner’s Guide is organised under 6 topics and takes one aspect for each double page; for example, in Viens chez moi there are pages on Ma famille, À la maison, La cuisine et le salon, and Ma chambre et la salle de bains. 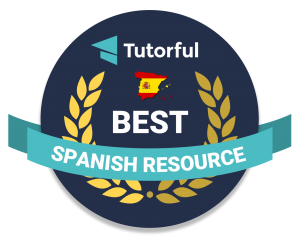 It gives vocabulary and some useful phrases as well as a very short explanation or comment in English at the start of each topic as well as for certain themes such as the weather and time. 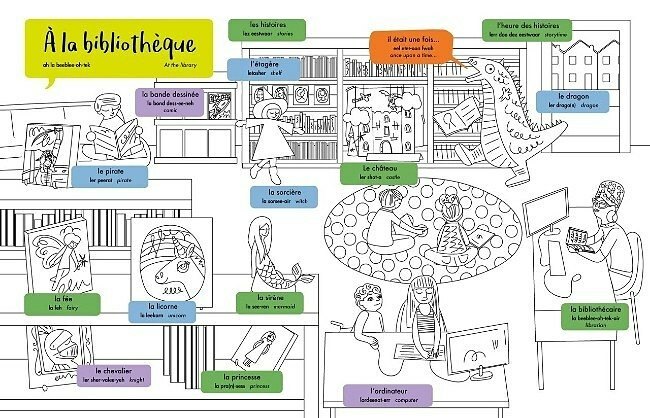 The vocabulary is supplied as labels on a vibrant illustration, in French, English and with a guide to pronunciation. * There is also a word list at the back of the book for reference. *I’m not a great fan of this as I think it can lead to confusion – how many of you have seen children laboriously copy out the phonetic version of words from a dictionary, and also over pronounciation – grassy arse? 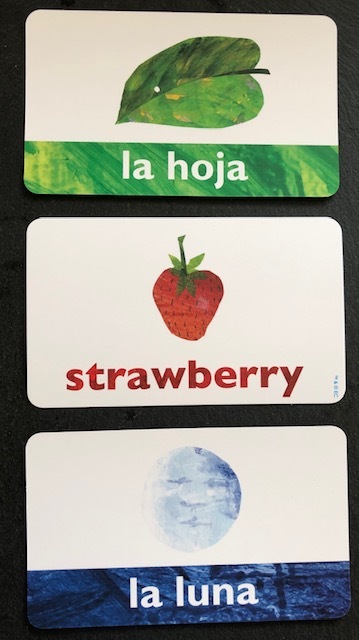 However, given that this is a resource for children to access on their own, without phonics input or a spoken example, perhaps supported by a parent who is also unaware of how to say the words/phrases, I can see the value of including the ‘how to pronounce’ notes. 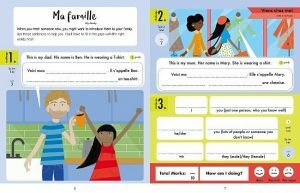 The Workbook goes alongside the Beginner’s Guide, giving children an opportunity to apply what they learn in a series of Challenges – as the front page says ‘Practice makes perfect!’ On completion, children can check their answers at the back of the book and are invited to assess how they’ve got on by colouring or circling one of three faces – Bien, Pas mal or pas super. 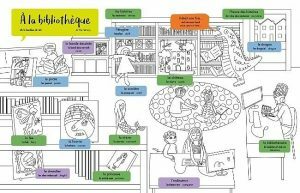 The Colouring Book takes some of the topics and themes from the Beginner’s Guide and offers the opportunity to colour the illustration used in the latter as the child wishes, reinforcing vocabulary which is labelled as in the Beginner’s Guide. 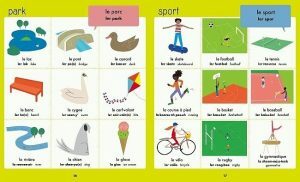 The French-English Picture Dictionary is organised by topic with nine vocabulary items per page, and an alphabetical word list of the 350+ vocabulary items in French-English and English-French at the end. 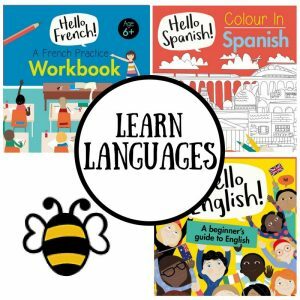 This is a resource that I could happily recommend to a parent who wants to encourage their child’s language learning at home. 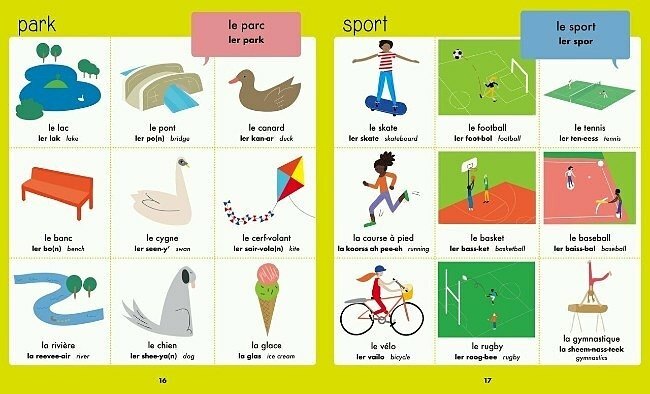 It’s suitable for younger learners with some adult support in part (the workbook is labelled 6+ due to the required level of literacy) and could be used in the language being learned at school – for my pupils, this is Spanish – or in a new language – in my case, French. 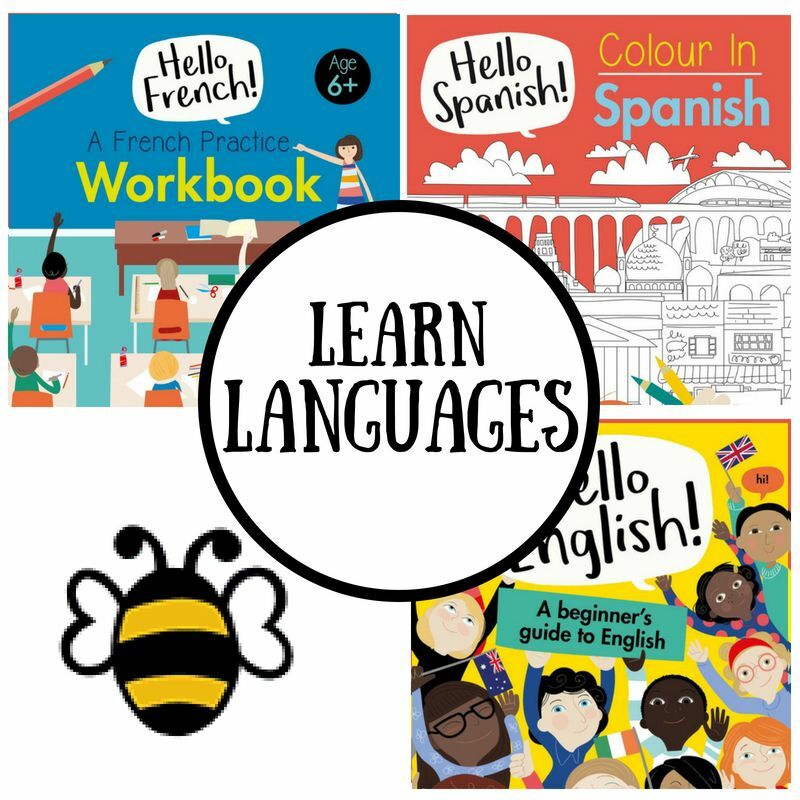 You can find out more on the bsmall website – www.bsmall.co.uk and, on their language learning pages, you see their other language resources including books, dual language texts, play scripts, sticker books, activity books and card games and download a catalogue. 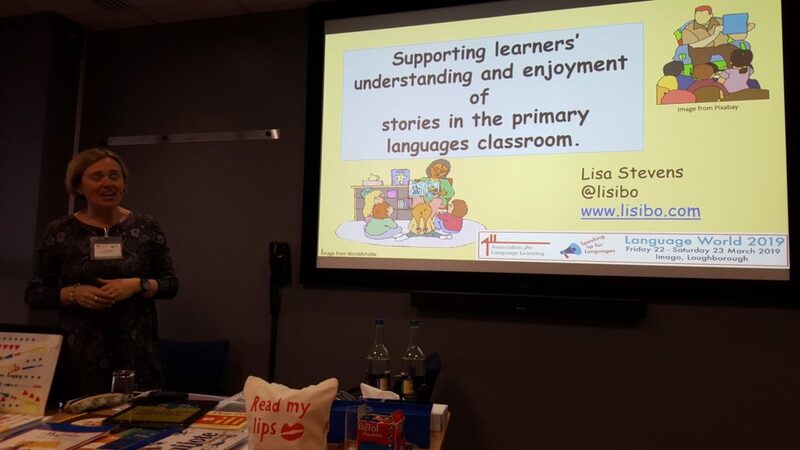 TeachPrimary KS2 MFL lesson plan – by me! 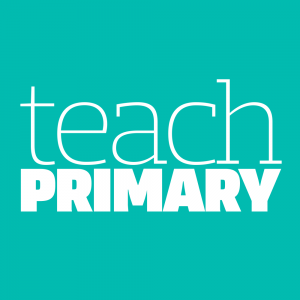 A couple of months ago, Clodagh from ALL contacted me and said that Teach Primary were looking for someone to write a primary languages lesson plan for their magazine, and would I be interested? I said yes and last week, the new edition came out, complete with my lesson on p76-77. It’s a lesson that I used on World Book Day 2016 when my school went with a Roald Dahl theme. 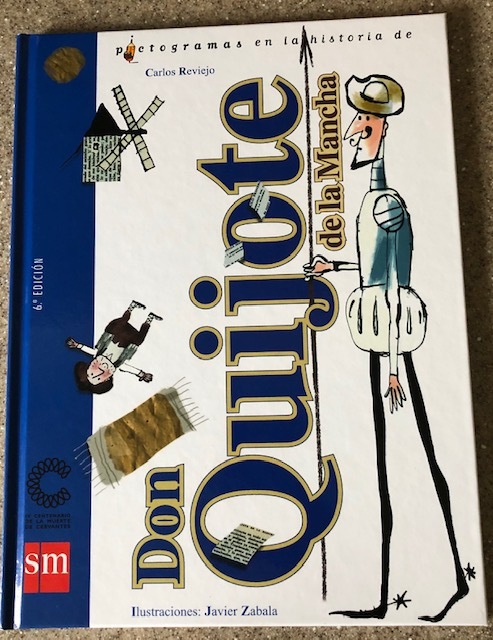 Whilst I teach Spanish, and the resources are therefore in Spanish, it’s an idea that could easily be done in French, German, or any other of the 58 languages into which Dahl’s work has been translated! You can access the lesson and resources here on TeachWire . 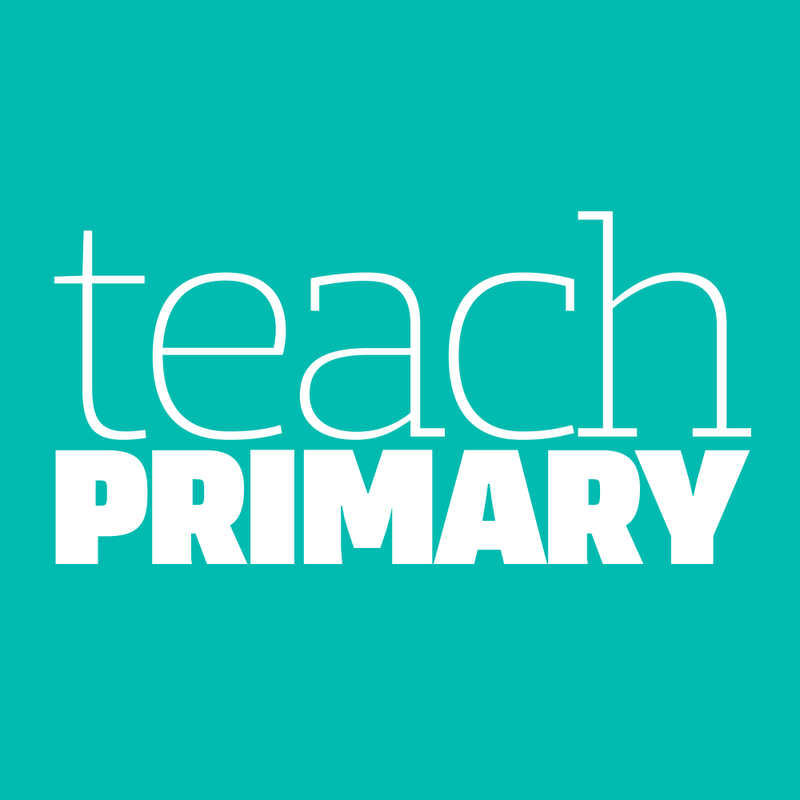 And if you’ve come to my website via Teach Primary, welcome! There are lots of other ideas for lessons here, including more for World Book Day here. And if you’ve never seen Teach Primary, have a look at the lesson plan for KS2 French on directions from last issue, by Amanda Barton or this lesson by Liz Black that links French and juggling! PS Thanks to Clare for sending me her copy so I have one for posterity!